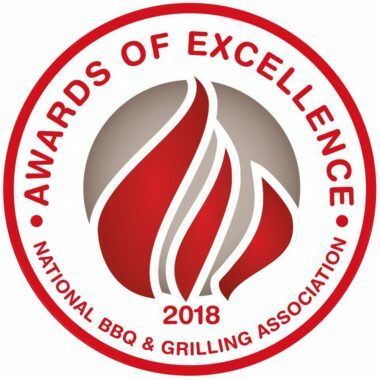 Every year the National BBQ and Grilling Association runs the Awards of Excellence, acknowledging the commercial side of BBQ. I would like to personally go through and congratulate all the people who support BushCooking.com and their great performance. At the bottom you’ll find a full list of the top three results are available. 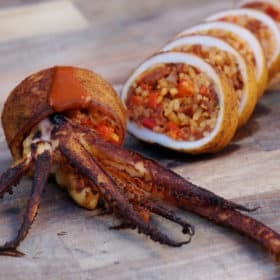 Booma, based out of Australia, has contributed a wide range of recipes to BushCooking.com including all three of the photos that he won awards for! Making recipes and food that looks as good as it tastes – that you too could make at home! Harry Soo, based in California America, has been a strong supporter of BushCooking.com, and the BBQ community in general, as a member of the NBBQA board and teaching BBQ not only in his home country but overseas as well. GrillGrates has two wonderful people contributing recipes to BushCooking.com: Brad Barrett and Michael Dellaporta. This is on top of a wide range of recipes and grilling instructions that they have on the GrillGrates website. The National BBQ News, lead by Kell Phelps, is a wonderful resource for all aspects of BBQ from competition, to business, to the back yard cook. BushCooking.com, published by Saffron Hodgson, now has a monthly segment in the newspaper helping share the love outdoor cooking. Hosted by Jimmy Shotwell and Forrest Goodman out of Memphis, The Rub covers a wide range of guests and topics. From the backyard to competition cooking, the show about barbecue – grilling, recipes and more. The June 21st episode includes discussions with Saffron about BushCooking.com and Australian BBQ. Hosted by Ben Arnot, Smoking Hot Confessions is a podcast out of Australia that has been on a strong growth curve, focused on sharing the love of BBQ. Smoking Hot Confessions first interviewed Saffron in Melbourne when she competed at the 2017 Cleanheat Rib Off to defend her title as Rib Queen in a rib-only competition. Currently, they are in post production of an episode recorded at the Houston Livestock Show and Rodeo, World’s BBQ Competition where Saffron guest hosted – due to be published in April. 3rd – Gift Pack Nuthatch Hill BBQ Co.